Chicago is home to some of the greatest museums in the world, and thankfully, the opportunities for mingling and immersing don&apos;t end when the sun goes down. Looking for a wow-worthy date night? Craving an off-the-wall night out with your besties? Want to give the kids an experience they&apos;ll simply love you for? We’ve rounded up some of our favorite museum after-hour events, designed to satisfy your thirst for art, history, science—and all things unique. Masterpieces are bursting at the seams at the Art Institute of Chicago, one of the top five museums in the world, according to TripAdvisor. During the evening hours, a more contemplative vibe imbues Chicago&apos;s most magnificent and historic art museum — home to the largest collection of Impressionist and Post-Impressionist art outside the Louvre. Every Thursday, the museum stays open until 8 pm, and Illinois residents can count on free admission that includes full access to the museum and farm-to-table restaurant Terzo Piano, as well as a range of public programs, from concerts and film screenings to lectures and artist conversations. See the full calendar of upcoming events here. What&apos;s more, the Art Institute&apos;s After Dark series, offered on select Fridays in the Modern Wing (9 pm–midnight), includes engaging tours of featured exhibitions, live music from up-and-coming artists and DJs, interactive performances by the acclaimed theater company Collaboraction, art-making opportunities, complimentary appetizers and a cash bar. Tickets go on sale a few weeks before each event; check the museum&apos;s schedule of events for updates. The Field Museum is a fascinating place to be at any time of day. For many, the Evolving Planet gallery is a favorite, teeming with skulking dinosaurs and rare fossils (and, starting February 2019, the new home of beloved T-Rex SUE). 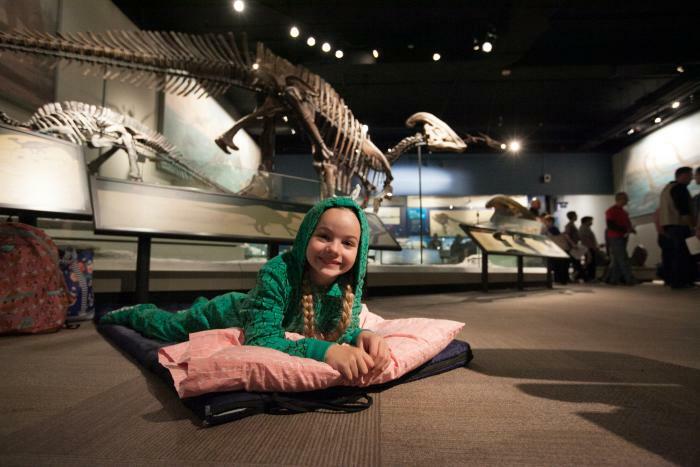 Thanks to Dozin with the Dinos, families and groups with children aged 6-12 can grab their sleeping bags for an overnight stay at the Museum, cozying up with Cryolophosaurus and sauropods. Kids explore the Museum by flashlight and see science in action, dissect owl pellets, learn to illustrate specimens, and play instruments from around the world. Check out the current schedule here. From the Big Bang to rocket science, the Adler takes you on a journey beyond our galaxy without ever having to get into a space suit. Simply, the starry sky over Chicago is best viewed at night, and the planetarium&apos;s adults-only Adler After Dark series points its telescopes skyward every third Thursday, from 6 – 10 pm. Guests enjoy cocktails and appetizers against the stunning backdrop of the Chicago skyline to the west, and Lake Michigan to the east. With the help of telescopes and Adler staff, you can view Saturn’s rings or Jupiter’s great red spot while sipping on the perfect cocktail. After, head back inside for open access planetarium exhibits, unlimited shows, and unique entertainment. Themes change every month, which means you&apos;ll never experience exactly the same thing twice. Advanced tickets for Adler After Dark can be purchased online for $20. Tickets bought at the box office the night of the event are $25. Although you probably don&apos;t want to wait that long. After Dark events sell out incredibly fast! While the After Dark series caters to the grown-ups, Astro-Overnights keep family fun front of mind. Designed for families with kids aged 6-12, Astro-Overnights give you the chance to spend the night under the stars or in an exhibit next to a planet (or spacecraft). Kids experience hands-on science activities, only available at Astro-Overnights, two amazing sky shows, including one immersive show you can’t see anywhere else, and a light evening snack and continental breakfast. Tickets are $60, with a VIP option for $70 per person, that has you sleeping under the “stars” in the Adler&apos;s Grainger Sky Theater. There is so much to see and do at Chicago&apos;s Museum of Science and Industry, where 14 acres of exhibits and experiences make it one of the largest science museums in the world. The excitement extends into the evening hours thanks to MSI After Hours, offered on select Friday evenings, from 7 - 11 p.m., throughout the year. This adults-only series gives you the chance to explore exhibits, cocktails in hand (beer and light bites, too) minus the mobs of field-tripping little ones. Each event features a theme, with related programming that encourages you to interact with fellow guests. Tickets for the After Hours series are $40 per person. 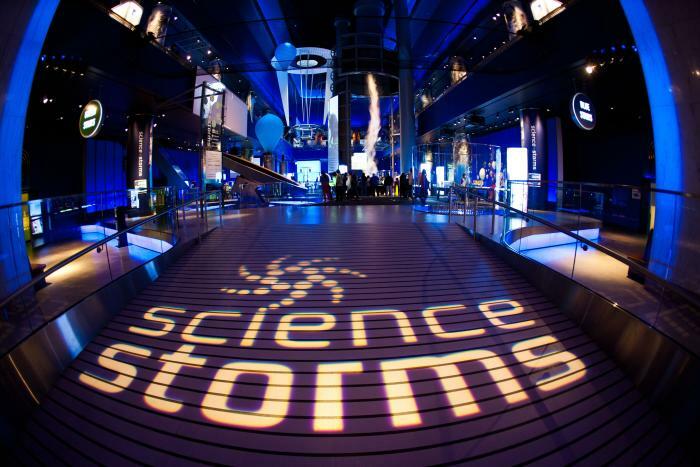 If you&apos;re looking for something unique to do with a crew of science-loving kids, the Museum of Science and Industry also hosts Science Snoozeums on select Fridays and Saturdays throughout the year (the next one&apos;s on December 4). The chance to snooze beside your favorite exhibit is only part of the fun. The $65 per person ticket price includes a film in the Giant Dome Theater, special activities, a Snoozeum patch and breakfast. (Less fun but very important, parking is also included.) Science Snoozeums are open to families with children aged 6-12. The evening begins at 5:30 p.m. and ends at 8:30 a.m. the following day. Download a Participant Guide here. The Museum of Contemporary Art is home to Chuck Close, Christo, Calder, Cindy Sherman, Andy Warhol, and a countless number of pivotal figures in the world of contemporary art. 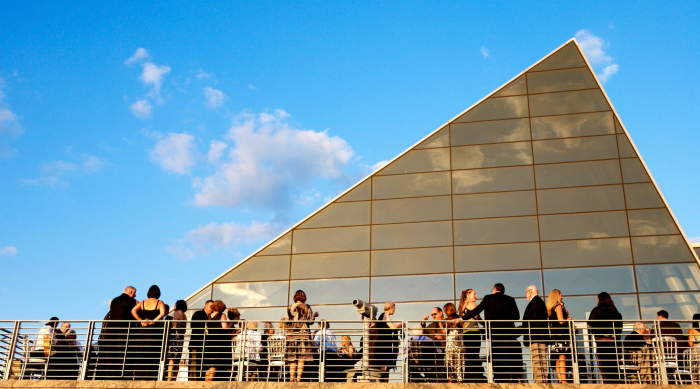 On select evenings, however, the museum takes on an entirely different aspect. 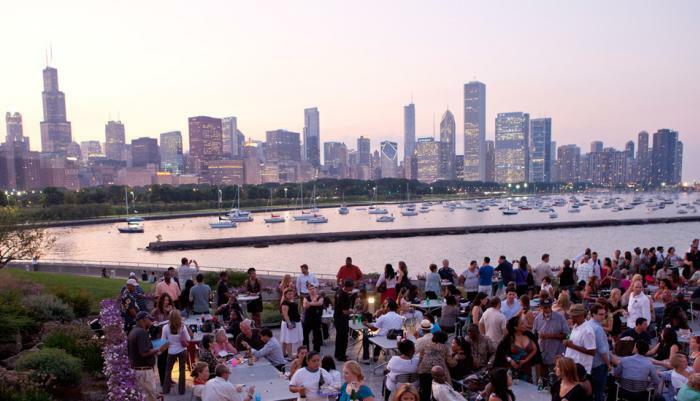 From June to September, the MCA Chicago hosts its FREE Tuesdays on the Terrace from 5:30–8pm, This annual summer performance series highlights artists from Chicago&apos;s internationally renowned jazz community, together with wine, beer, cocktails and a delightful menu. Grab a bite, imbibe and listen while sitting on the Museum&apos;s mesmerizing terrace or on its garden lawns. An added bonus is that admission to the Museum is free to Illinois residents all day Tuesday. If you&apos;re looking for a bit more of a party vibe, MCA Prime Time is an after-hours series that taps into the creative pulse of Chicago with an eclectic mix of live music, performance art, film screenings, and interactive programs that entirely transform the Museum. As MCA Chicago explains, "The series is an electrifying social experience created with artists and key cultural groups in the city." On any night of the week, grab dinner and cocktails at the museum&apos;s acclaimed restaurant, Marisol, which is open Tuesday through Thursday until 10 pm. Follow that up with an evening program — the museum hosts everything from talks and screenings to world-class dance and theatrical performances as part of its MCA Stage Season. Every Wednesday evening 5-9pm through October 10, you can go Jazzin&apos; at the Shedd, listening to cool jazz, sipping on cool drinks and visiting 32,000 cool aquatic creatures. And if capturing that perfect Instagram moment is your thing, you&apos;ll also be taking in some of the best views of the Chicago skyline, and all in the evening&apos;s soft glow. Tickets are $25 per person. The Shedd also hosts a Shedd After Hours series on select weekdays during September and October, from 5-9pm. This adults-only time to relax and socialize includes live music, dance and some R&R on the Shedd&apos;s lakeside terraces. With three themed nights a week, you can take your pick from Caribbean flavors, live Latin rhythms and heart-thumping House music. Tickets are $25 per person. Never ones to leave kids out of the fun, the Shedd also hosts Asleep with the Fishes throughout the year. These overnight stays include animal and science activities, an aquatic presentation, animal encounters (penguins, dolphins, stingray!! ), aquatic crafts, a scavenger hunt and a Caribbean Reef feeding dive. You&apos;re also free to explore any of the open exhibit spaces throughout the evening. Various ticket options are available, starting with regular tickets ($85 per person); VIP - Caribbean Reef ($100 per person), which means you&apos;ll be sleeping in premium locations around the Caribbean Reef exhibit, home to sea turtles and bonehead sharks; VIP - Wild Reef, where you&apos;ll sleep among corals, rays and sharks of the Philippines ($110 per person); and VIP - Oceanarium, which means you&apos;ll sleep in the underwater viewing area of the Abbott Oceanarium and wake up next to penguins, whales and dolphins! You&apos;ll ($125 per person). 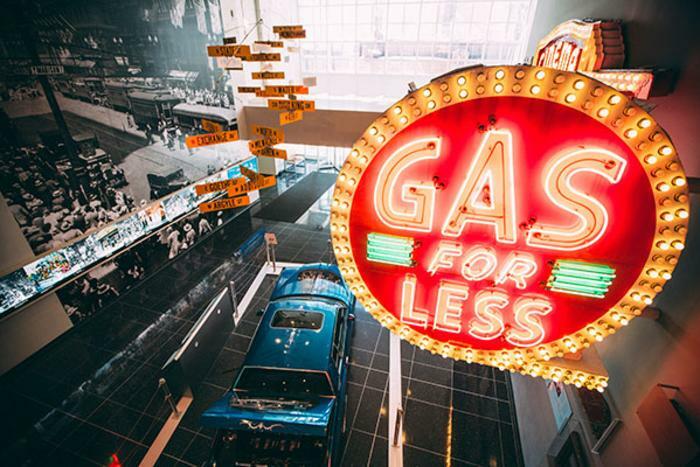 Founded in 1856 to study, interpret and preserve Chicago&apos;s history, the Chicago History Museum offers thought-provoking, rotating exhibitions and a permanent collection that showcases artifacts spanning the city&apos;s move from fur trading outpost to bustling metropolis. 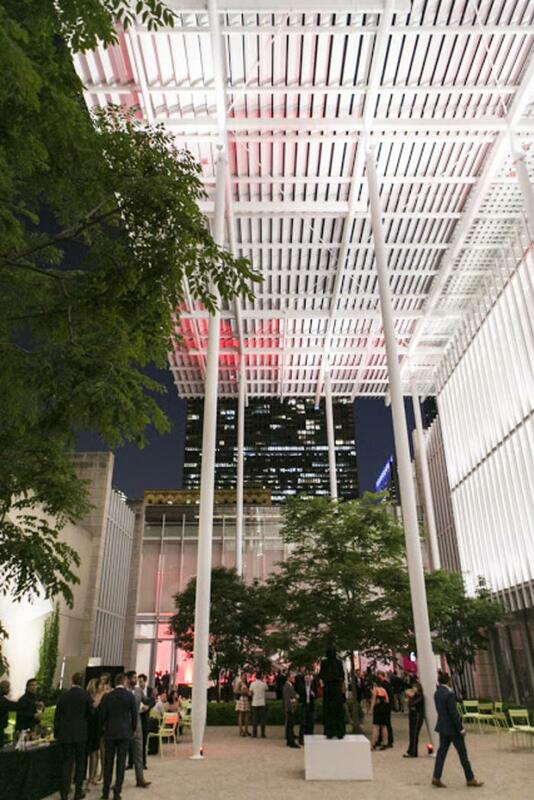 After hours, the museum hosts a happy hour like no other. At the quarterly History Happy Hour series, guests enjoy two drinks on the Museum, tours, talks and activities highlighting the collection and its special exhibits. General admission on Tuesday evenings is free for Illinois residents.Tickets are $15 per person, which include two complimentary drinks, tours, and museum admission. 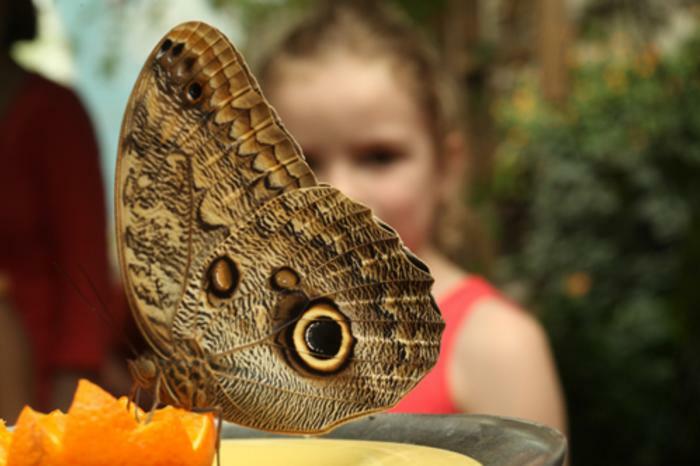 Bunking with the Butterflies brings you a night at the Judy Istock Butterfly Haven, a mesmerizing display of over 40 species of exotic high-flying butterflies and several stunning bird species from the Southern hemisphere, all housed in a 2,700 square-foot greenhouse. You&apos;ll be surrounded by serene pools of water, flowers, tropical trees and fluttering butterflies as you drift off to sleep. A light snack and a continental breakfast are provided, and you also have the option of customizing your Bunking with the Butterflies overnight experience. Tickets are $60 per person, with custom overnights available for families and groups of 40 or more people with a ratio of one adult to five children. For more information email overnights@naturemuseum.org.